To highlight the product portfolio of M&S, positioning it as THE place to shop for Christmas, delivering both scale and engagement. Drive included both in-store footfall and online traffic, with the overarching aim of encouraging customers to spend. 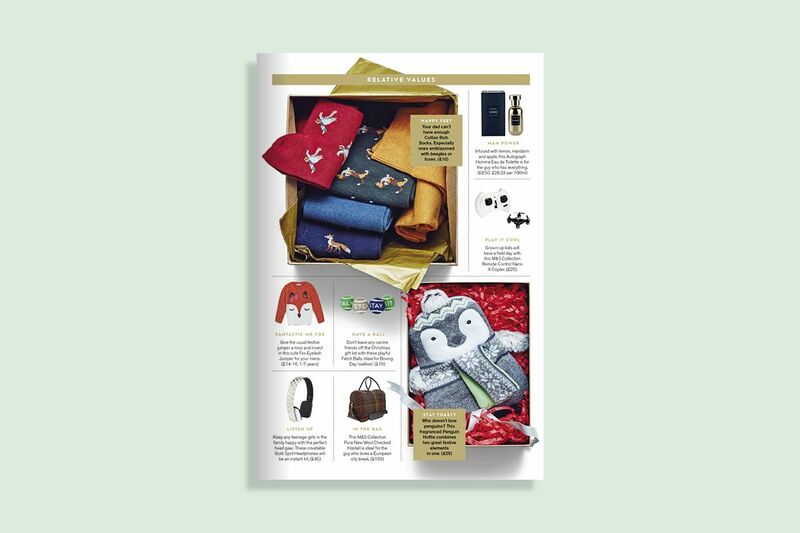 Our editorially led, cross-platform campaign included a bespoke eight-page gatefold pull-out in Stylist with exclusive imagery showcasing gift ideas that tapped into the gifting needs of an affluent audience, while an accompanying ShortList advertorial targeted the male readership. 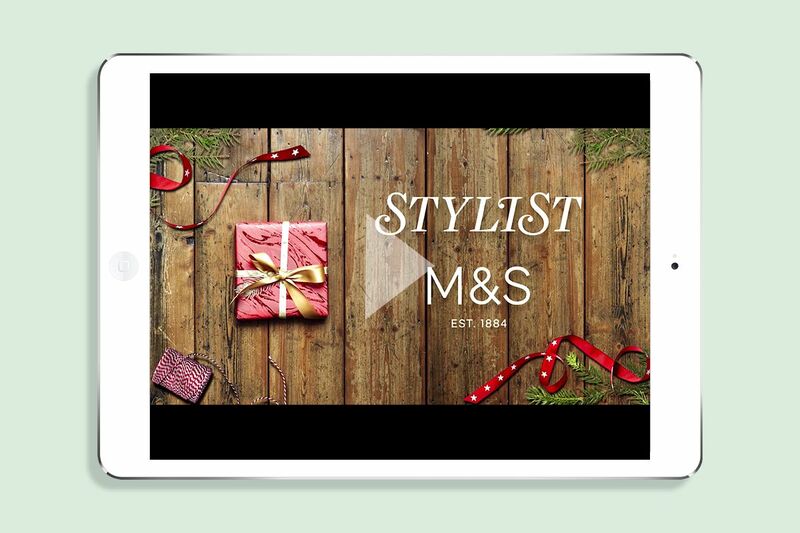 Online ran a unique interactive game to engage users in M&S’s Christmas range, with a click through to buy on their site. We also produced special info-videos about wrapping unique gifts, which allowed for data collection. Our original interactive game attracted 100% more entries than our monthly competition average. 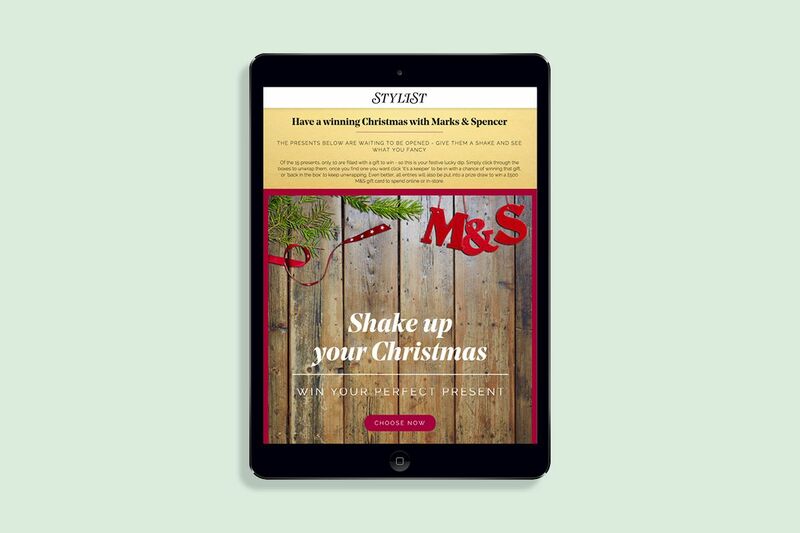 Figures across all of our digital activity flew over our benchmark numbers, putting M&S in the forefront of readers’ minds when it comes to creating the perfect Christmas.